PF Midlands can fully prepare your Land Rover to Off Road Spec, whether it is for Fun, Recreation or Business. Please see the follwing pictures of a selection of customer's vehicles that we have prepared for Extreme off roading tours. 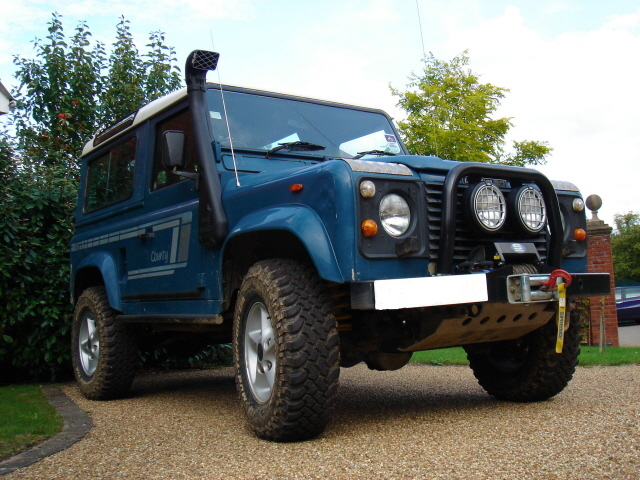 This vehicle was a standard Land Rover Defender County Station Wagon V8. We have prepared it for full extreme off road days, our customer has been surprised about how useable and versatile this machine has been, on the most extreme off road courses.